In my previous post, I discussed the amazing reflective floors and the amazing look available for photographs. 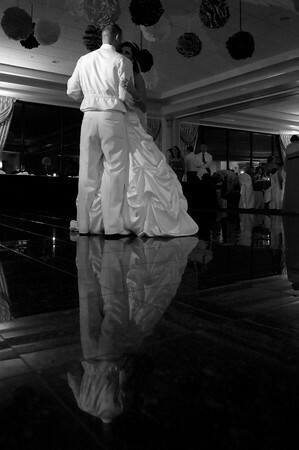 Notice the beautiful reflection of the bride and groom as they enjoy their first dance together as a married couple. 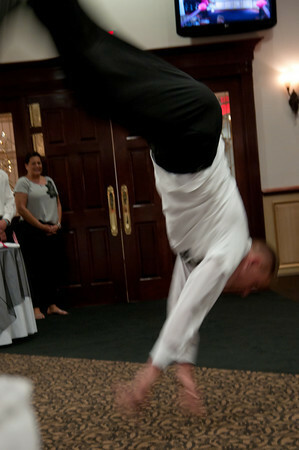 As a wedding photographer, I have seen many different reception entrances by the members of the bridal party. This next series of images illustrates one of my favorite entrances. 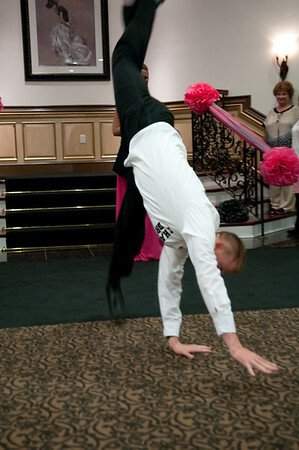 One of the bride's brothers is known for his acrobatic skills and utilized them during his entrance into the wedding reception. I am sure everyone in attendance enjoyed the acrobatic entrance and we were able to capture it for future generations to enjoy. 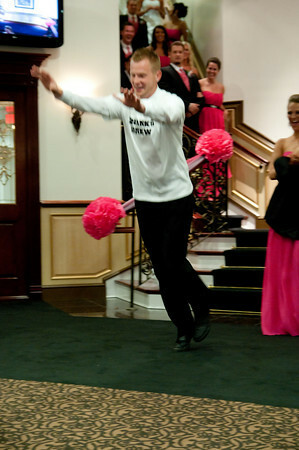 These photographs illustrate one of the many reasons I am very passionate about wedding photography. We are able to capture a split second in time for others to enjoy for many, many years. I am not affiliated in any way with the Club. To book dr Frank as your wedding photographer, please click this link and complete the contact form.